The health minister is a keen runner. HEALTH MINISTER LEO Varadkar appeared on Operation Transformation this evening, on a special edition of the weight loss programme. Varadkar spoke about the importance of healthy living on ‘Operation Transformation: 7 Years And Counting’. The minister said he liked the show because it helps people take action to improve their lifestyles and ”encourages them to follow leaders and monitor their performance against them”. Varadkar said this aspect of the programme is particularly important as viewers are following the progress of people they can identify with. A spokesperson for the Minister said he Varadkar wanted to appear on the show as it has had a “positive impact” on so many people’s health, encouraging them to “turn over a new leaf”. 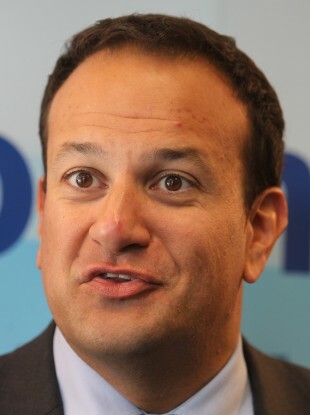 The spokesperson added that Varadkar is a keen runner and has taken part in a number of triathlons. The programme also caught up with previous team leaders to see how they got on once the cameras stopped rolling. Operation Transformation will return with a new series next Wednesday. Email “Leo Varadkar appears on Operation Transformation”. Feedback on “Leo Varadkar appears on Operation Transformation”.